Wynne's Home Electronics provide a wide range of home entertainment improvement services including; Digital TV Antenna Installation and Repairs, solutions to Digital TV Reception Problems, Home Theatre Installation, TV Installation / Set Ups (including TV Wall Mount Installation) and TV Point Installation. We will also provide step by step written instructions on how to operate your home entertainment equipment. Poor digital TV reception can cause picture pixelation, sound interruptions or loss of some channels. Have your antenna signal checked and your TV reception problems solved by our expert techs. Wynne's Home Electronics are Government endorsed Digital TV Antenna Installers. 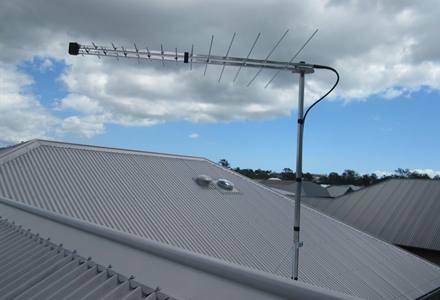 We provide quality TV antenna installations at competitive rates. Obtain a quote today by calling 0418 982 966. We can help with all your home theatre installation needs including; TV set up / tune in, TV wall mounting, home theatre design, surround sound, in-home training on your home entertainment equipment & more.